We have all heard that parabens – a conventional chemical preservative that comes in various forms such as the more common methylparaben, propylparaben, ethylparaben, butylparaben, and less common isopropylparabens – may pose a health hazard when used as an ingredient in skin care and beauty products. Naturally, regulators claim these chemicals are safe in the concentrations and amounts allowed in personal care products (generally, 0.4%). What I find concerning is that studies that determined that parabens are safe were single-exposure studies using only one type of paraben in one type of product. Those who are skeptical of the safety of parabens caution that further research is needed as many products use combinations of various parabens in one single product, necessitating further research and the assessment of the effect of accumulation of parabens in personal care products. In addition to the early safety studies, there have been several studies in the last ten to fifteen years that have shown the presence of parabens in cancerous breast tissue. Parabens mimic estrogenic activity and act as xenoestrogens (similar to BPA) – in effect, they activate the same estrogen receptors as the natural hormone estradiol and promote the growth of cancer cells. The examination of cancerous breast cancer tissue showed the presence of parabens, but in earlier studies did not conclude whether the parabens contributed to the development of these tumors or in other ways facilitated their presence. That has now changed, as you will see below. Further, methylparabens may react with UVB light to cause cell DNA damage. Any one of the parabens can also cause reactions in persons with sensitive skin – allergic reactions, skin irritation, contact dermatitis, rosacea, and more. Choose personal care products that are paraben-free, especially the ones that stay on, like lotions, creams, and the like. Last but definitely not least, a study by UC Berkley last year looked at the effects of parabens in a more real-life like situations and found that the parabens triggered certain receptors by turning on genes that caused breast cancer cells to significantly proliferate. Read more about this issue here. The good news is that many companies offer paraben-free options, even in conventional products. But do check the labels as there is plenty out there with parabens in it! So, what are the alternatives for keeping personal care products free of microbial growth? Most products, especially those with water, need something (preservatives are less important or not at all with oils). Chemically-speaking, Phenoxyethanol seems to be significantly safer, although it is not perfect either. Other companies have been using just Vitamin E.
Recently, however, I have come across some unusual natural preservatives that I had not previously heard of. I spent some time reading up on them and thought I’d share the information with you. This is a 100% natural and naturally-derived preservative made from the extracts of Oregano leaf, Thyme, Cinnamon bark, Rosemary Leaf, Lavender Flower, Lemon peel, Peppermint leaf, Golden Seal Root, and Olive leaf. It is soluble in oil and has a slightly pungent scent. It is recommended to be used in concentrations of 0.5% and has no known negative effects. If one is sensitive or allergic to any of the ingredients listed, a product preserved with Plantaserv S may cause some skin reaction. Also a plant-based natural preservative that is made from the P Anisic Acid in Basil Leaf and the Sodium Levulinate and Sodium Anisate derived from Corn & Grapeseed. GMO-contamination may be an issue here as it contains a corn derivative (and most corn is GMO), so you may want to look for a non-GMO or organic certification on the product. The properties of this natural preservative were discovered in connection with fermented radishes – Leuconostoc Kimchii, the healthy bacteria used to make Kimchi and other fermented foods is a lactic acid bacteria that consists of an isolate peptide that is secreted during the fermentation process. This peptide has been shown to have significant antimicrobial benefits. Pretty cool, right? Elderberries have a multitude of uses in medicine alone and have so been used for centuries – they are rich in phytonutrients (caffeic acid, ferulic acid, and the like) that have antioxidant and anti-inflammatory properties, as well as anthocyanins, known to boost the immune system (hence all those elderberry syrups and lozenges you see in health food stores). 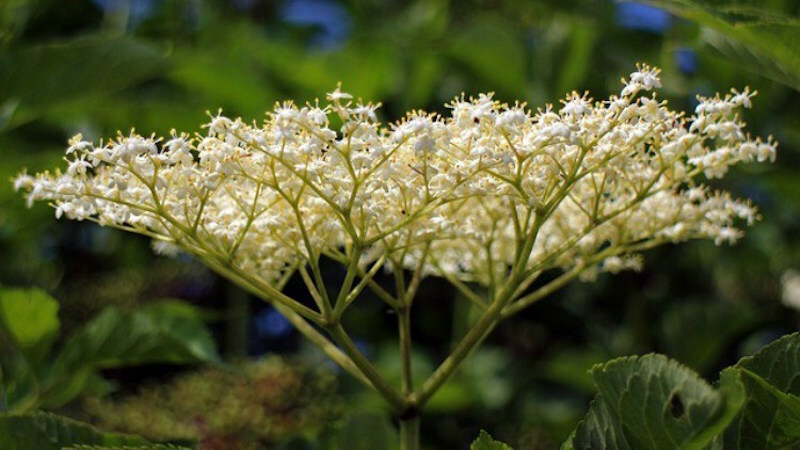 In addition, Elderberry is also an excellent source of undecylenic acid, an organic fatty acid that has both antimicrobial and antifungal properties. Have you seen any products with these natural preservatives? I know Herbs + Heart uses some of them and I will be adding Herbs + Heart to the various skin care directories!